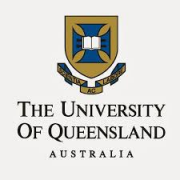 Korn Ferry is assisting The University of Queensland with this appointment. Further information, including an information booklet setting out the selection criteria, can be obtained from Carolyn Soddy on +61 2 9006 3468 or [email protected]. To apply confidentially, please register your interest with a CV, a cover letter and a statement addressing the selection criteria at [email protected].